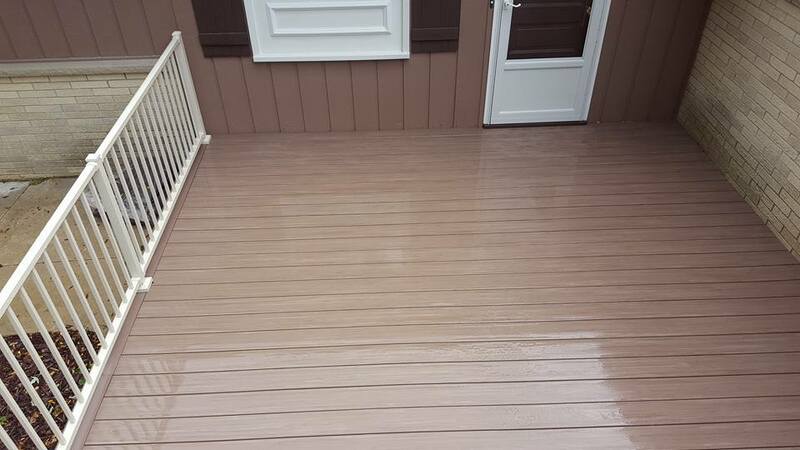 We built both the back deck and front porch for this customer. The deck features custom curved, heat formed stairs. 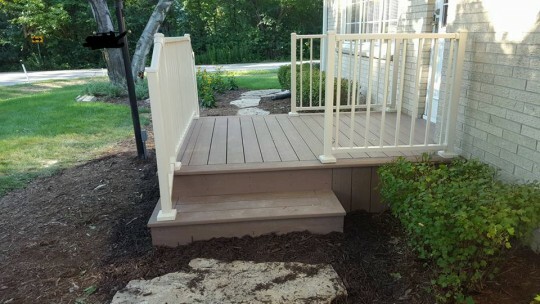 The stairs also have a gradual rise for an easier step. 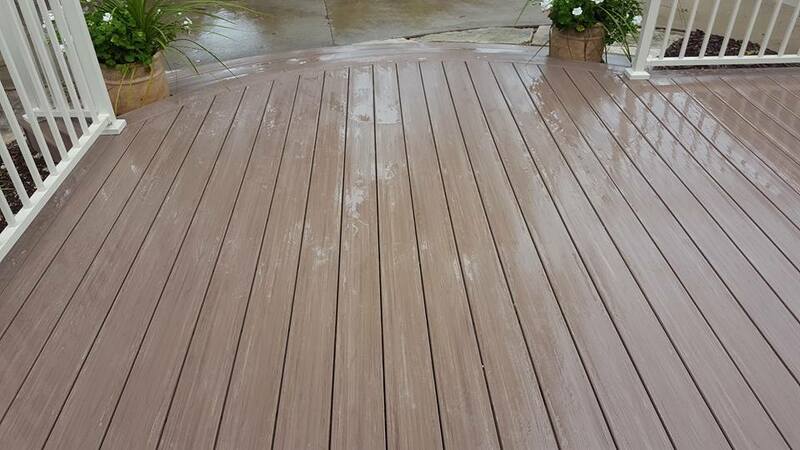 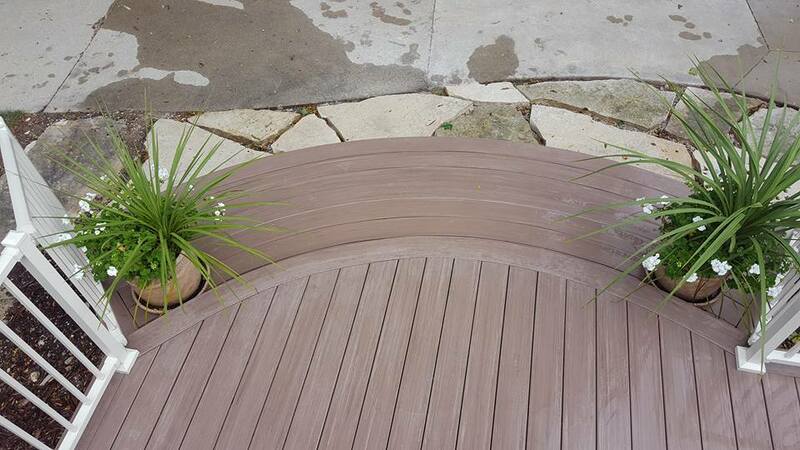 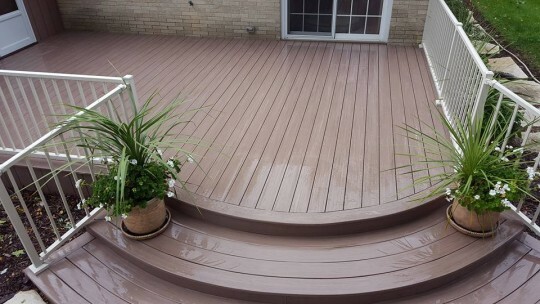 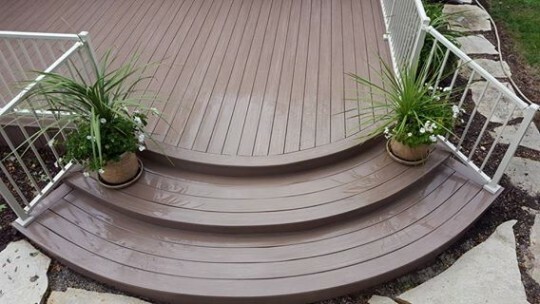 The porch and deck feature Azek Autumn Chestnut decking with Westbury Sandy Shore aluminum rails.